Town Hall Gallery presents its latest exhibition, Eye Score: The Audible Image, featuring artworks that trigger a feeling of sound in the viewer. From 22 September to 1 November, audiences are invited to open their eyes to the sight of sound in an exploration of the auditory impact of the visual arts. 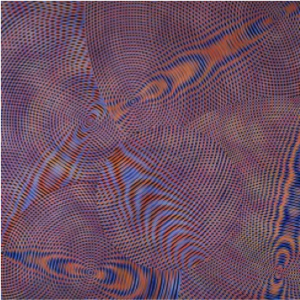 Showing works by eight Australian artists, the exhibition presents a multisensory response in the viewer, making a lot of noise, while not physically making any noise at all. The artworks activate multisensory responses in the viewer – whether by evoking the memory of music, hinting at compositional rhythms or stimulating impressions of noise. Featured artists include Danae Valenza, whose dynamic works are informed by the history of music; Dylan Martorell, who is drawn to ways in which music travels through space; and John Aslanidis, whose ‘sonic network’ series merges music, mathematics and science to compose paintings. Other artists exhibiting in Eye Score include Angela Cavalieri, Carmen Chan, Catherine Clover and Michael Graeve. 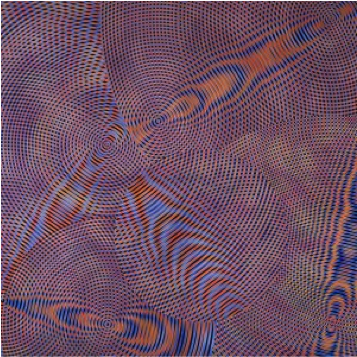 Also included are works by John Nixon, who has had an important influence on the development of contemporary art and artists in Australia through not only his critically acclaimed artwork, but also through his efforts in assisting other artists to forge a pathway of their own. From a pivotal role in the development of artist-run initiatives in Melbourne, to his mentoring of young emerging artists, Nixon has carved a unique place in the Australian art world. Image: ASLANIDIS, John, details from Sonic Network No. 15 (2014), oil and acrylic on linen, © Courtesy of the artist and Edwina Corlette Gallery.